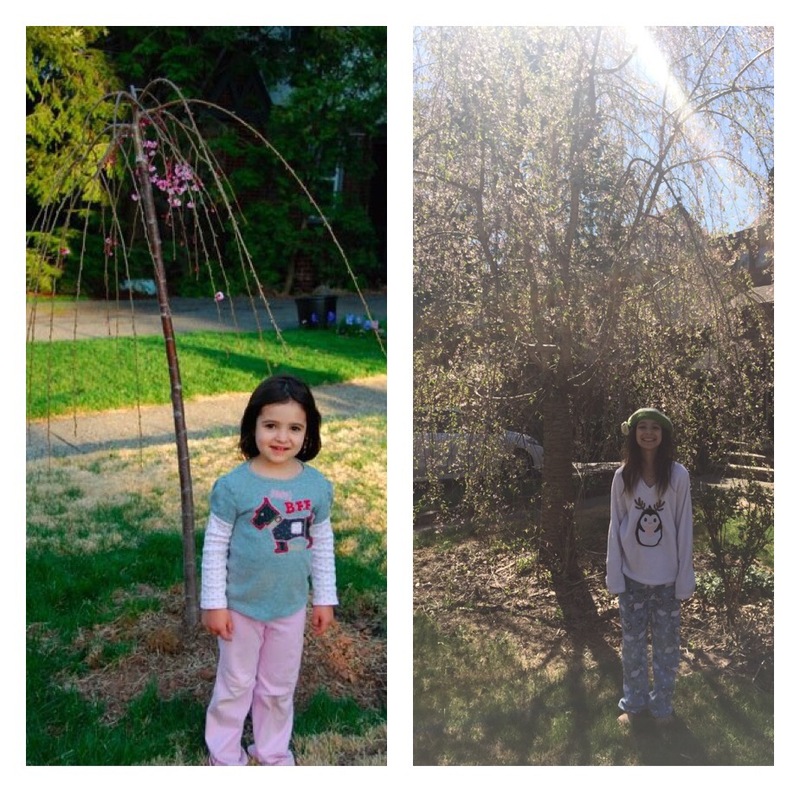 Yesterday I came across a picture of four year old Elizabeth standing in front of what was then our newly-planted weeping cherry tree. As you can see above, this morning I took a picture of Elizabeth standing in front of the same tree. Same kid. Same tree. Eight years. 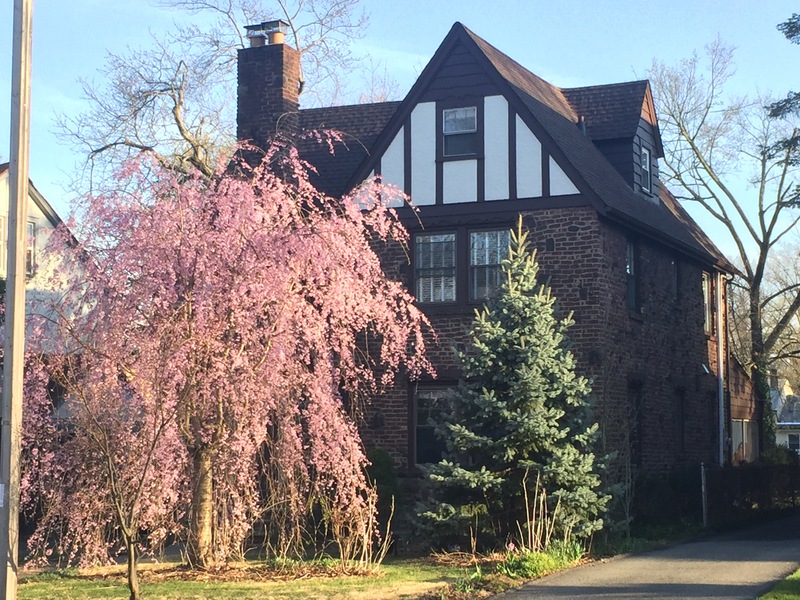 I planted that tree the second spring after we moved into this house. And it has grown and blossomed and spread its roots all over my home. Just like us. Our house is on the rental market now, and hopefully we’ll be finalizing a lease soon. As we’ve been getting closer, I’ve been reading many stories of other world schoolers, many — but not all — of whom are permanent nomads. That sounds like an amazing lifestyle, but long-term, I don’t think it’s for me. I can’t wait for our adventures, but we are so lucky to live in such an amazing neighborhood, with neighbors who are our friends, advisors, inspirations, fellow celebrants, and, at times, confidants and fellow mourners. Our kids are so fortunate to grow up in a place where they feel rooted, known, and loved. And as we prepare to hit the road, I feel so fortunate to know that as much as I look forward to travel and adventure, I have a welcoming and beloved community to which I can return when I’m once again ready to prioritize being rooted over adventure and travel. On the weekends or during the spring evenings, I love knowing that I have at least half-a-dozen porches or stoops or backyards where I’m welcome to sit, and where I can chat or just be. Julianna practically lives at her friend Max’s house across the street. Elizabeth has learned to balance her me-time for reading with her neighborhood friend time, which never requires pre-scheduling a play date. It’s not unusual for me to be answering the door to her best friend while I’m still in pajamas. I’m excited for our adventures, but I’m nostalgic-in-advance for what we’ll miss. I’m going to miss my friends and the rhythm of the years here. Just on our street, there’s the annual Fourth of July neighborhood trek to watch the parade, usually followed by a semi-impromptu barbecue. 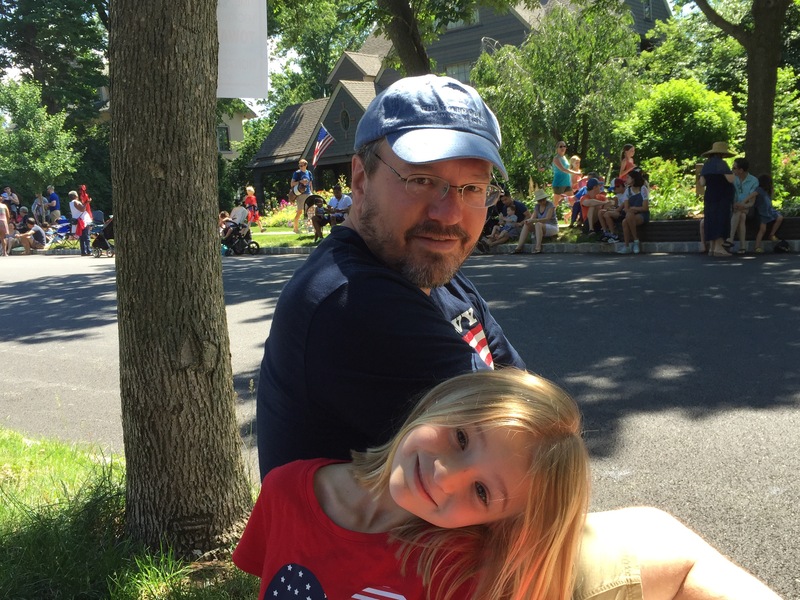 Waiting for the 2016 Fourth of July Parade to begin. There’s the annual block party a week or so after Labor Day, when the whole street contributes delicious food and the kids revel in being able to play in the street without hawk-eyed adult supervision. 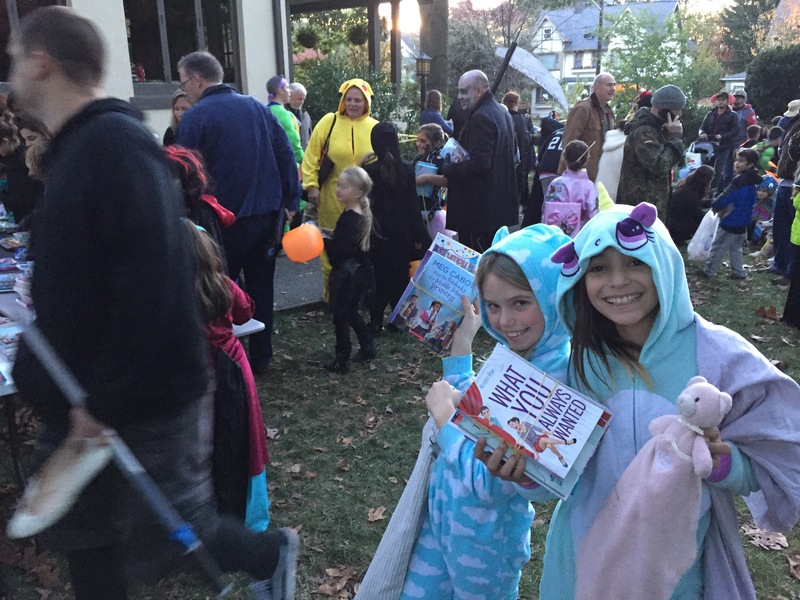 Then there’s the annual trick-or-treating followed by a neighborhood party at which the kids stuff themselves with candy, and the adults drink mulled cider. Around the corner from us, there’s a house associated with Scholastic Press that gives away stacks of books instead of candy on Halloween. There’s the annual “Blatke” (Block Latke) party, complete with Hanukkah stories. There’s the block’s New Years’ Eve tradition, where we never have to worry about driving or getting fancy, as we all live on the same block and the kids can burn off their energy running around the block after the ball drops. There’s the Memorial Day barbecue. 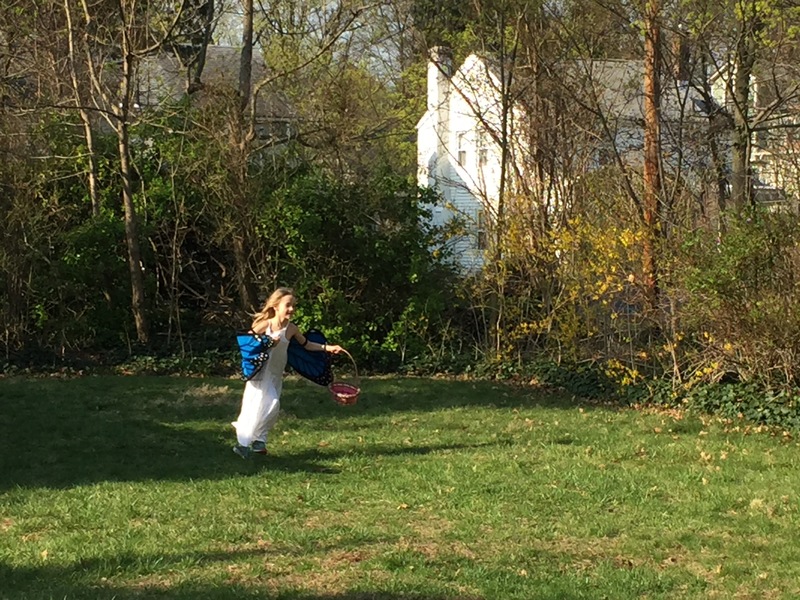 Just this past weekend we came back early from Philadelphia, as my kids were unwilling to miss the annual neighborhood Easter Egg Hunt. It’s not our holiday, but my kids sure do love the annual Easter Egg Hunt. Mike and I are going to have our work cut out for us, trying to make sure that our kids enjoy the new memories we will make for each of these holidays in the upcoming year. The bar is high. Beyond our neighborhood, I’m going to miss the larger cycle of the year as well. Each year we celebrate Rosh Hashanah and the second Passover Seder with my best friend and his extended family, who have become our own over many years. My kids call his parents “Saba and Savta” (Hebrew for Grandma and Grandpa), which is wonderful because they no longer have any grandparents of their own. 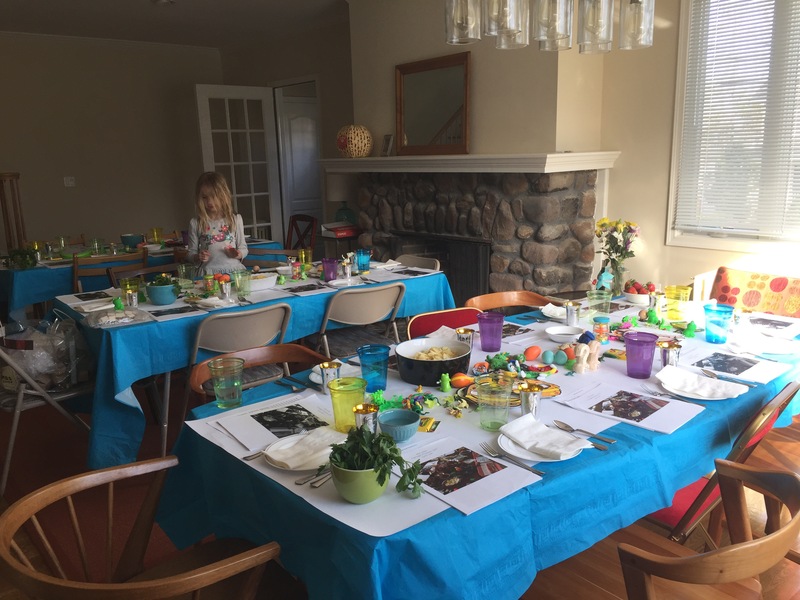 Every year we spend an extra-special first Passover Seder with other friends of mine, who have also become family over what’s closing in on thirty years of friendship now. My kids will miss the Seder table toys. Oh, and the #Ham4Seder repurposing of Hamilton songs. And, of course, there’s our own extended family’s annual Thanksgiving, which is such a can’t-miss event that we will be back for it. We are fortunate indeed to be able to travel on such an adventure, but we are also fortunate indeed to be rooted in such a beloved community that will cheer for us on our adventures, but also welcome us home with open arms. Years ago, I read that planting a tree is a symbol of optimism, as planting a tree is giving a gift to the future. As we declutter and minimize and cut ties for a year of adventure, it’s good to look out at our gorgeous weeping cherry tree and know that we are rooted. It’s only been eight years, but I’m already so glad that my past self gave us that gift. I planted the tree in memory of my mother, who was always up for an adventure. It’s good to know that it will be waiting here to welcome us upon our return. Rooted. That’s what we are. Even as we prepare to satisfy our wanderlust, it gives me a sense of stability to know we’ve put down roots.